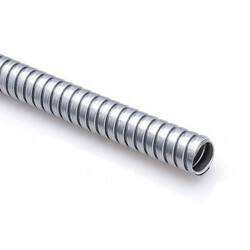 These are used as conduit for Electrical Cables and can be provided with wire Braiding, PVC or synthetic Rubber sleeving, depending on application requirement. Offered at cost effective prices and in large small bulk orders, we ensure that our products are delivered on time. - Manufacturing Range : From 3 mm ID to 12 " ID. Product: Inherent low fire hazard product.